Why Is Captain Marvel Becoming MCU’s Most Controversial Film? Captain Marvel is on its way to becoming MCU’s most divisive film, and for no real reason at all. After 11 long years, Marvel is ready to produce a solo film starring a female hero. It’s going to be a prequel for MCU and will he set in the 90s, featuring Clark Gregg and Samuel L. Jackson as de-aged Phil Coulson and Nick Fury. Captain Marvel will set the stage for the highly anticipated Avengers: Endgame. Captain Marvel starring Brie Larson is set to release in a week. However, among Marvel fan communities, Captain Marvel is getting really controversial. In some places, it’s almost impossible to discuss the film without an array of complaints. People are fuming over everything: from misandry to radical feminism. Some even complain about Marvel introducing such a powerful hero so late. But naturally, this is a small yet vocal gathering of fans to spoil the discussion in numerous fan communities. Some even fear that Captain Marvel may see the same fate as Ghostbusters, with bad PR leading to poor box office reception. But in this case, the trolls are coming up for nothing. There have been various complaints about Brie Larson in the film. Some feel she doesn’t smile much in the trailers, while many commented that she doesn’t have the superhero physique. Some even say she doesn’t know enough about the character. Many of these complaints are a bit sexist, hinting that Captain Marvel should only exist as an eye-candy in the MCU. As Larson herself pointed out that male heroes are shown as stoic so why does female superheroes always have a grin on their face? The latest TV spots hint that the film will have a lot of humour (like all MCU films), so rushing into conclusions about the film won’t be right. Many fans believe that Brie Larson was chosen because she’s a politically vocal actor and feminist. However, this argument has a lot of flaws. Earlier Josh Brolin has recorded Donald Trump tweets in Thanos’ voice, Chris Evans has been completely outspoken on certain issues, and Mark Ruffalo is a notable environmentalist. Even in the comics, Carol Danvers herself is a feminist and her original identity, ‘Ms. Marvel’ was initially intended to be a political statement. Inspired by Kelly Sue’s popular comics, Captain Marvel has always been feminist. So Marvel had no option but to cast accordingly. In a recent interview with Marie Claire, Larson pointed out that she wanted her press says to be more inclusive. Some fans are taking Harsh steps and spoiling Captain Marvel’s box office performance. So there are two lines of attack. The first was misreading box office projections, suggesting Captain Marvel will underperform and may even bomb at the box office. Yet again, this is a flawed argument as experts and analysts are tracking Captain Marvel to make over $100 million in its opening weekend. This means it would outperform Captain America: The Winter Soldier and Iron Man. Many fans even argue that it’s a failure because it won’t be able to beat the record set by Black Panther. That shouldn’t be the case, because if it is, then the Civil War is also a failure. 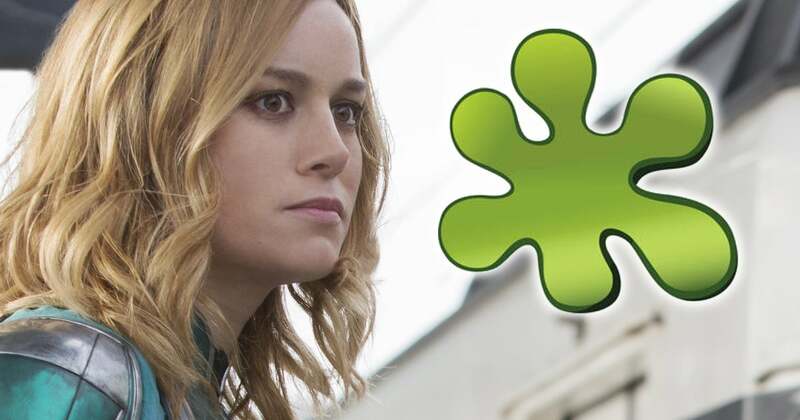 There are many Rotten Tomatoes trolls that are bombing Captain Marvel’s audience ratings. All of this is a misguided step to make the film look weak. A close look at the comments and reviews suggest that most users have more issues with Larson’s politics than the film. Captain Marvel hits the theaters on April 8.